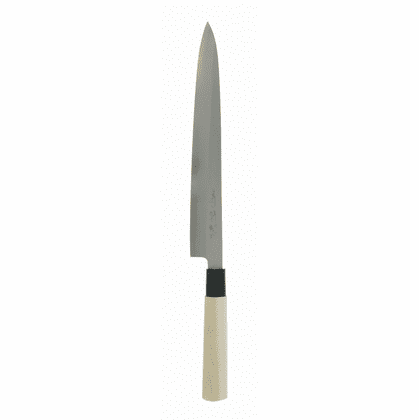 Yanagiba-blade is specially ground for left-handed use. Single ground. Made with 5K-5 carbon steel blade and wooden handle. 10-5/8 inches (270 mm) blade, 16-1/8 inches long overall, 1-1/4 inches width.